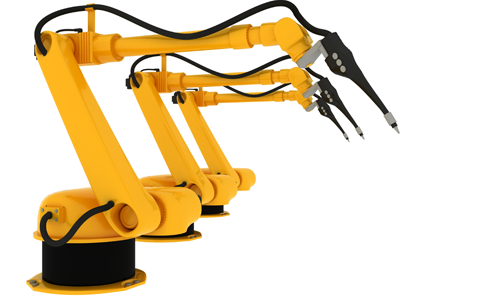 The use of Reed Relays as the switching elements for robotic technology in industrial applications has been gaining wider appeal on the technical front. The Reed Relay is ideal because of its high reliability, long life (>109 operations), and ability to switch an assortment of AC and DC loads having various signal strengths. Especially important is the ability to switch analog signals having micro-volt or pico-amp signal levels. Here the low stable contact resistance offers an ideal solution without losing signal strength over life. Also, if RF is used in the circuitry, the Reed Relay offers very low insertion loss and very good isolation well beyond 1 GHz. For industrial applications the DIL, DIP, and MS series are excellent.